Congratulations on pursuing ASCA Certification! Since 1988, over 18,000 coaches have been certified with the American Swimming Coaches Association. 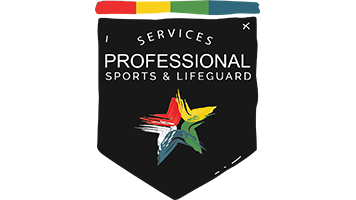 Being certified sends a message to your peers, your employer, your athletes, and your swim team parents that you are a Professional Coach. No matter what level you are at, it is a significant event that you have chosen to set yourself apart as a Professional Coach in pursuit of continuing education. Join ASCA as a member. ONLY MEMBERS CAN BE CERTIFIED. Submit the Certification Application to Certification Services along with any certification tests or supporting documentation. This will start the Certification process. Note – This is the initial application for Certification. If you are already ASCA Certified and are looking to update your file, please submit a Certification update instead. Certification Means that You are Serious About Your Profession. It means that you care about your continuing coaching education and your professional preparation. It marks you as a coach who is in the mainstream of the swim coaching profession, and willing to be examined and certified by an independent agency (ASCA), in the same light as the great coaches of history, whether Collegiate, USA Swimming, High School, YMCA, or Masters, as well as thousands of international coaches who chose our ASCA Certification system to document their credentials. Employers know that the ASCA Certified Coach is committed to Professional Performance, has Professional Preparation, and, most importantly, Professional Ethics through their membership in ASCA. In addition, compensation information and access to professionally evaluated positions are available to Certified Coaches. Certification gives you a title you deserve. Certification also states your credentials precisely and concisely. It represents your education in the sport, your experience in the sport, and your ability to produce athletes who perform at a high level. (Once you are doing so.) Certification is a VOLUNTARY process. Some coaches chose NOT to participate. Certification does not pretend to say who is the better coach. What Certification does, is accurately represent your credentials from an independent agency. Employers, over the 27 year history of ASCA Certification, have become quite adept at differentiating between Resume Writing Coaches and ASCA Certified Coaches. ASCA Certification provides factual information to your potential employer.